Episode 3 - My Ex is Trashing Me to My Kids: Help! Hearing distorted, negative comments about you coming out of the mouths of your kids after they've spent time with their other parent is horribly painful. You know you're not supposed to disparage their other parent or put your kids in the middle, but you don't want to be painted as the villain! 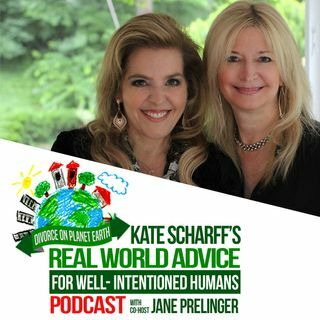 In this episode of "Divorce on Planet Earth," Kate and her new co-host, psychotherapist extraordinaire Jane Prelinger, offer practical advice for taking on this tough problem ... See More in a compassionate, direct way that protects and reassures your kids, redresses misinformation, and strenghtens your parent/child relationship.